This Mango Buko Salad (Mango and shredded young coconut salad) is going to be a hit this summer. 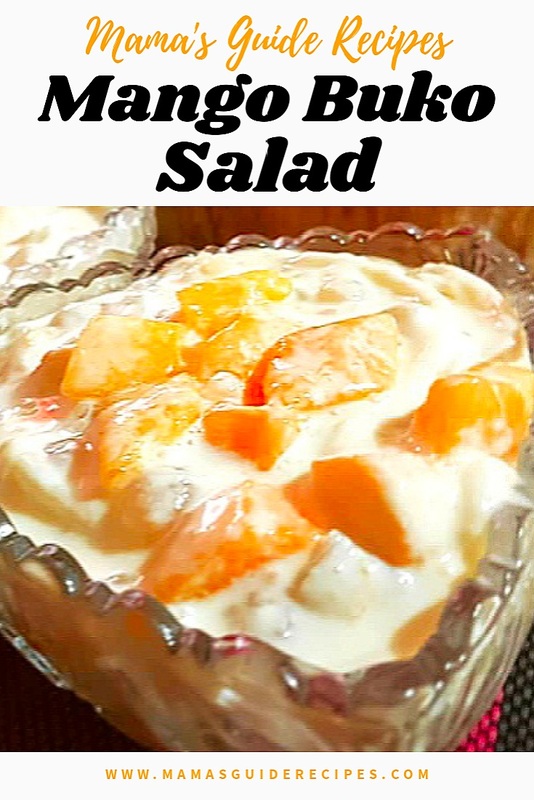 Simple, easy to do and budget friendly summer dessert! You can sell it in your neighborhood for an extra income this summer and have a unique business venture. Using a buko shredder, shred the young coconut meat in each buko shells. Add it in the mixing bowl with the cubed mangoes. Then add the cream, condensed milk and evaporated milk in the mixing bowl together with the buko and mangoes. Combine all the ingredients in the mixing bowl and toss them together.